Ah, so many ugly lights all over the planet.... Dark skies are hard to find these days, except, apparently, in the middle of South America. 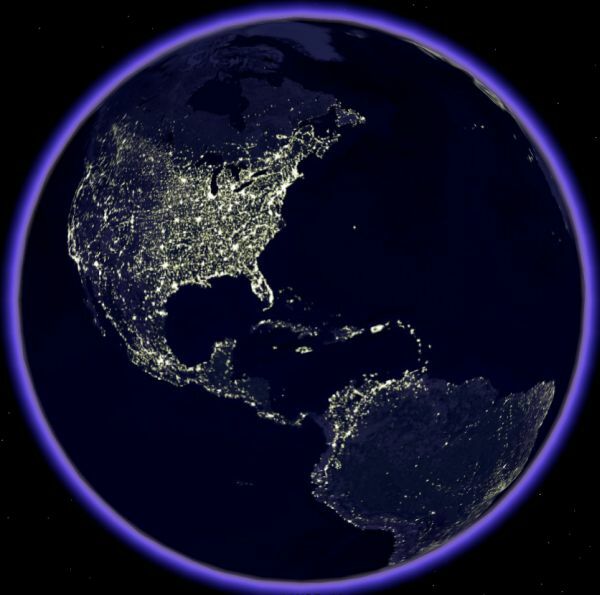 Light pollution is indeed a problem, but you're right, Frank, it's a beautiful sight from space. Ah I've never been a person to complain about light pollution. Canada looks like a very empty place though.